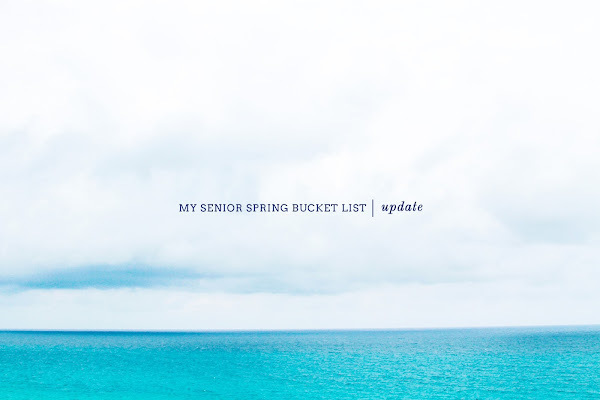 As I mentioned earlier here, I kicked off my senior spring wanting to try a variety of activities that I have yet to explore on campus before graduating. Ideally, I wanted to do 99 things in the 99 days remaining until graduation. Now, that number has dropped to just 60 days! Gasp! Well, I still have a lot of work to do but I was pleasantly surprised with everything I was able to do over just the past couple months especially. Here is the visual proof below, and my brief notes about each one afterwards! 1. Go on a spring break trip - went to Florida with my girls! 2. Dance in Ghungroo Performance (South East Asian dance show on campus) - danced in the senior segment! 3. Sled down Harvard yard steps - thanks to Hurricane Nemo, I went down Memorial Hall steps on a dining hall tray! 4. Attend Celebration of Black Women (campus event organized by the Black Men's Forum at Harvard) - went for the first time, got a rose and a special note! 5. Go to the Holi Festival (cultural Indian/Hindi festival including dancing and the throwing of colored powder) - got purple, pink, and yellow in my eyes, mouth, and hair...and I loved it! 6. Deliver letters on Housing Day (a Harvard tradition where freshman are randomly selected into one of 12 upperclass houses) - chanted until my throat was sore and ran like never before in the yard! 7. Go out dancing in Boston! - went two times already with my girls to a dance club in Boston! 9. Try a new food place in the Square - a few days ago I finally tried Clover, an entirely vegan restaurant just across the street from my old freshman dorm. The rosemary fries are perhaps the best fries I've ever tasted! Congrats on completing some of your bucket list items, they were all good ones! Sounds like a fun and busy spring break.